Are We Getting The New Samsung GALAXY S4 Soon? With rumours going on in the internet that we are getting the Samsung GALAXY S4 as early as the 26th April 2013, are you guys all excited yet? It was also mentioned that the S4 will be launched at the end of April 2013 World Wide to 327 mobile operators in 155 countries. The Samsung S4 will be available with either the 1.9 Ghz Quad-Core Processor or the 1.6 Ghz Octa-Core Processor, depending on different regions or markets. What can we expect from the Samsung Galaxy S4? For more information on the new Samsung Galaxy S4, you can check it out at the official Samsung GALAXY S4 global page. You can also read up on the Official Samsung GALAXY S4 Press Release here, and join the Samsung Mobile FaceBook Page for further updates. Samsung GALAXY S3 Users, Are You Getting The Samsung GALAXY S4? Are You Getting The Samsung GALAXY S4? I believe most of the Samsung GALAXY S3 users who did not upgrade to the Samsung Note II LTE (launched last year, 19th October 2012) will be keen in the S4. The Note II (LTE) might appeal to most users who needs a big screen (ie. me!) but for others, who finds the S3’s size just right, they might be interested in the upgrade to the S4 instead. and of course with the additional software and OS improvements and features mentioned above, that could be a reason to upgrade your 1 year old S3 too! 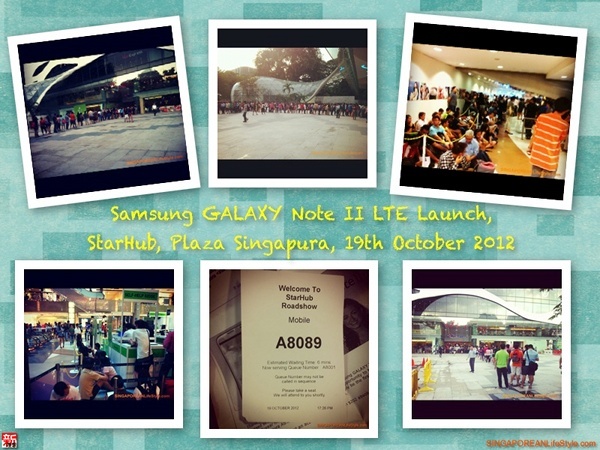 If you have followed me on instagram, pinterest or my FaceBook Page, you would know that I actually went for the official release of the Samsung GALAXY NOTE II LTE launch at StarHub, Plaza Singapura, last year, 19th October 2012. I wonder if there is going to be such promotions again this round, for the new Samsung GALAXY S4. Anyone going to queue overnight for it? Do join me for updates on the official launch of the new Samsung GALAXY S4 in Singapore by following me from the links at the bottom of this page.